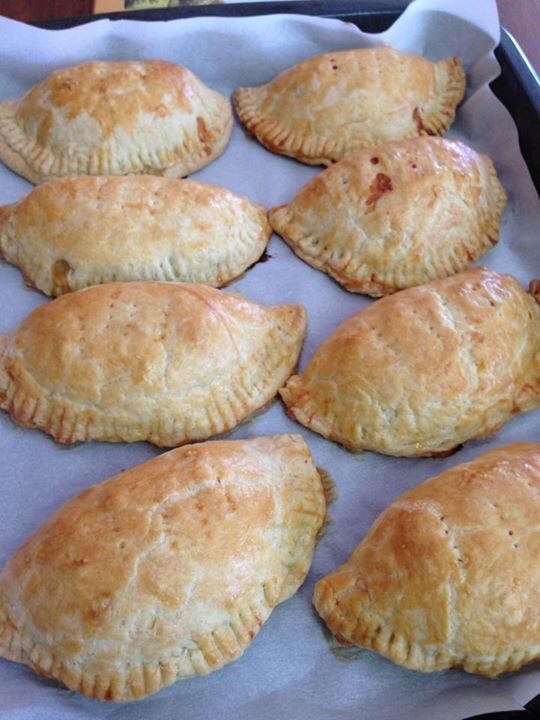 West Indian beef patties! – Hurried Home Chef! 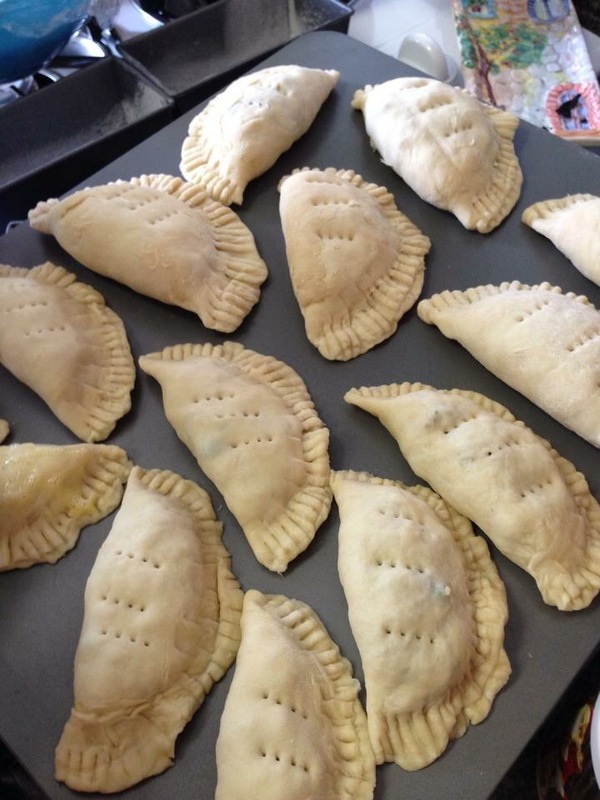 A classic party food for the West Indies, not something I make unless there is a family function and lots of hands to help! These are beef patties that are a bit different from the Jamaican ones most people know, but similar. I like them better, but that’s what I grew up eating. When these were around, it meant a party! 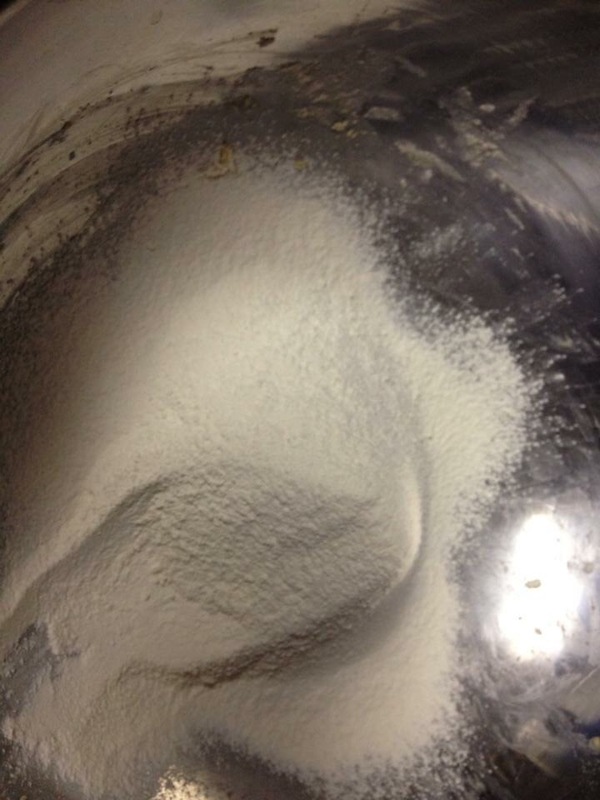 I start with AP flour, usually we make a large amount, so try 4 cups. 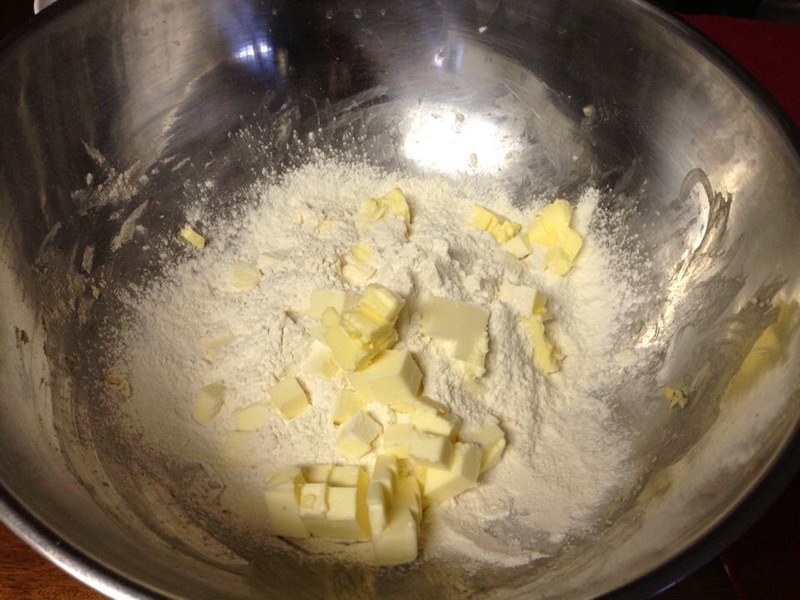 I like to use cold butter, 2 cups, a 2:1 flour to fat ratio. You can use shortening, butter, or margarine to achieve this. Add 1/2 tsp baking powder and a pinch of salt. Mix this together to break the butter up and incorporate them together. 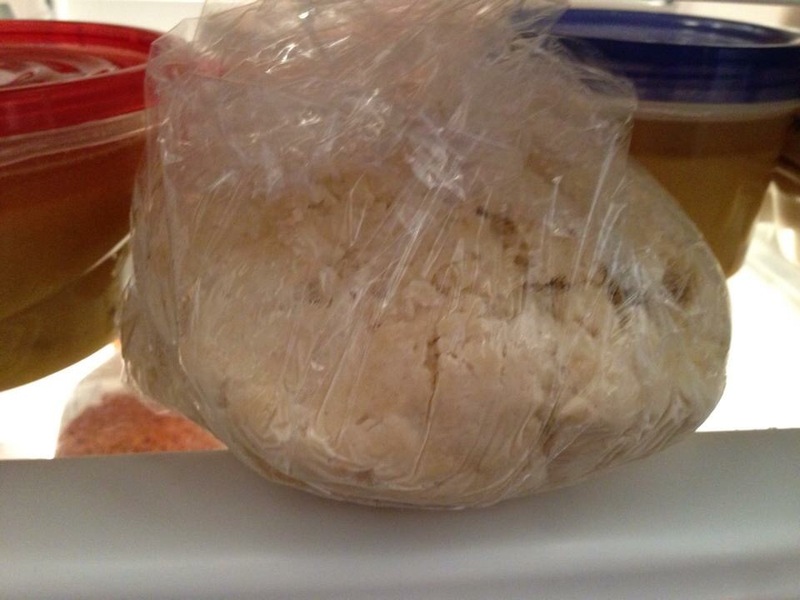 Using cold water, bring it together into a dough. Wrap and chill. 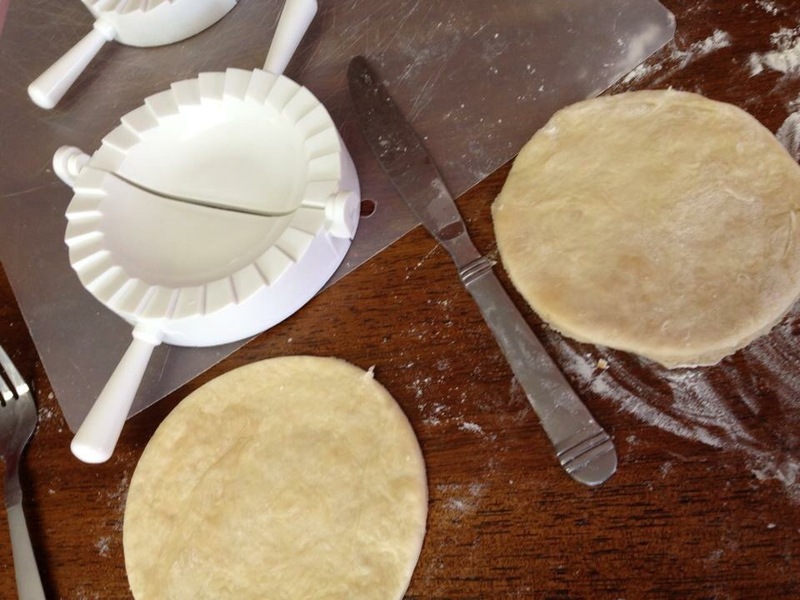 We happen to have these nifty pie making things, but you can just use a round mold. Roll out and fill with cooled filling. Seal with water and pinch with fork. Top with egg wash of a beaten egg and a little water. Pierce the top for the steam to escape. Bake at 350 until golden brown, only the pastry needs to cook, usually 12-18min. For the filling, this depends on the crowd, I use beef. For 4 cups of flour I would go with 2 lbs of ground beef. I don’t have a recipe for this, I just wing it. I will take a large onion, 4-5 cloves of garlic, 1/2 a habanero pepper, a large thyme leaf– blend it. Brown the beef, drain off the fat, add the onion mixture with some Worcestershire sauce, salt, black pepper. Take off heat, add frozen peas. In the microwave, bake a small potato and once fully cooked, dice and add to beef mixture. This is only to stop it from being dry. Once cool, you can fill. I have also done this with chicken but the ground chicken was too dry for me, so I prefer to cook a chicken breast and finely dice it. I’ve never made this vegetarian, a samosa recipe might give you hints for this. If the pastry is too much for you, just get crescent dough without the perforations and use that instead! Previous Post Prep ahead staples for your fridge and freezer, quick Thai noodle soup. You make it look so easy! I love Beef patties!